You are here: Home › Blog › Friday Fav: Crunchy Chips & Creamy Dip! 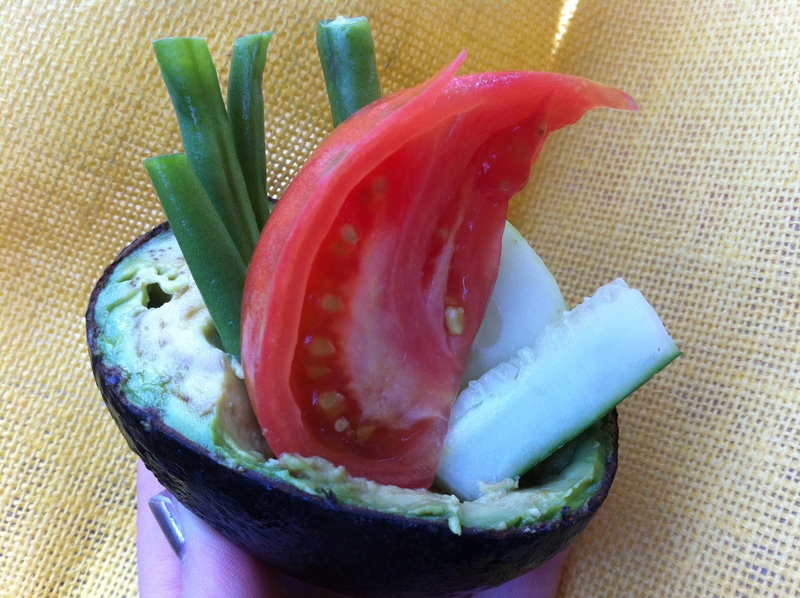 The avocado took a few days to ripen up but once it did, I sliced it in half, cut up some of September’s crunchiest, yummiest veggies (and a tomato for fun) and viola- the perfect crunchy, creamy, fulfilling, satisfying snack for this REAL Skinny gal! What are your favorite crunchy veggies to munch on? What is your favorite dip? 10.3.12 Drop and give me 20!